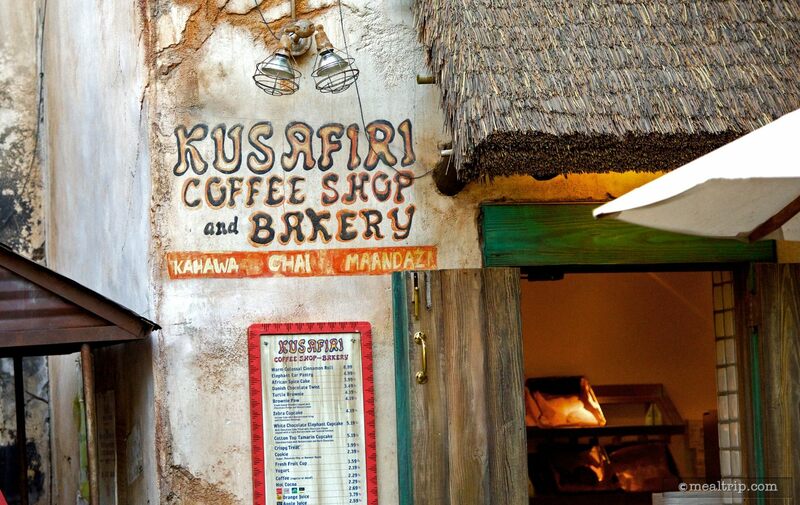 Down a pace from the entrance to Kilimanjaro Safaris and somewhat attached to the Tusker House building is a small walk-up window, counter service location named Kusafiri Bakery... that you might just miss if you’re not looking for it. While there is not much here in the way of seating, it is a quaint little authentic looking spot. The real draw here is the coffee and baked goods. Specialty cupcakes such as the Zebra Cupcake, White Chocolate Elephant Cupcake, the Cotton Top Tamarin Cupcake, and a the freshly baked Brownie Paw are some of the more unique offerings. 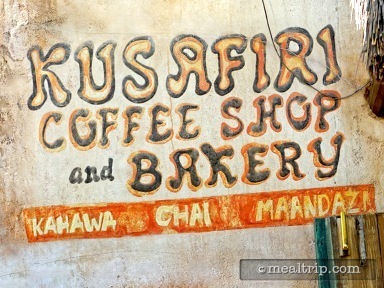 A few “continental breakfast” items are also usually available, such as fruits and juices. 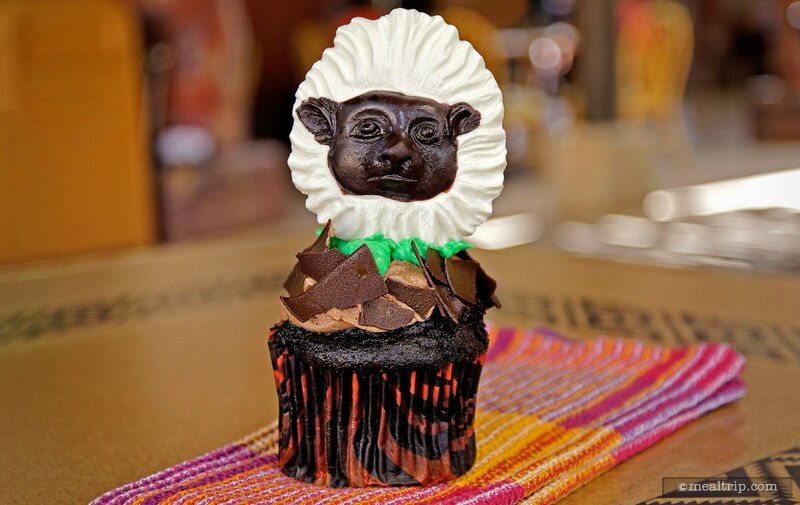 The monkey cupcake was cute. It was moist and chocolately. the monkey faced lollipop was tasteless and no filling for the money. Just a run of the mill cupcake.